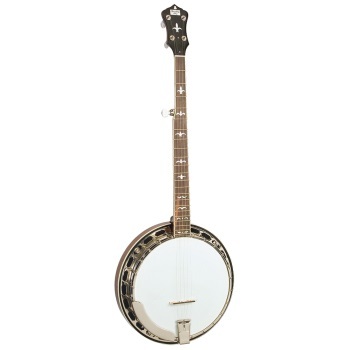 The Recording King Madison RK-R36 is for every banjo player looking for a high-quality, great-sounding instrument that won't break the bank. The RK-R36 is built with a Mastertone-style bell brass cast tone ring and one-piece flange just like our best-selling RK-R35, but with a select mahogany resonator and neck. The 24-hook brass tension hoop allows the head to be adjusted to the perfect tension, and the nickel-plated hardware matches vintage Mastertone-style specs at a fraction of the price.